Some people think that because you do not physically face your opponent when playing online poker that there are no "tells." This could not be further from the truth. 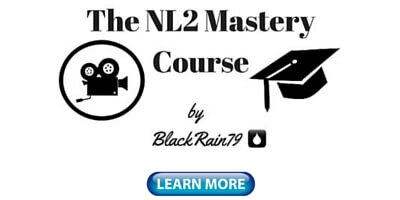 While the body language cues that are prevalent in live poker do not exist in online poker there are a number of big clues that people give off which suggest what type of hand they are holding. These are mostly related to their betting patterns and the timing of their actions. A timing tell in poker means the time somebody takes to decide what they are going to do. This often gives away the strength of their hand. For instance if they take way too long to act, this is a timing tell which usually means they have a really strong hand or a bluff. If they act way too fast though, this is a timing tell for a mediocre hand. Conversely betting patterns are particularly important poker tells in online poker. When you pay attention to the bet sizing and look for patterns in the way people play poker online it often gives away the strength of their hand. Don't worry though, I am going to break it all down for you in this article step by step. 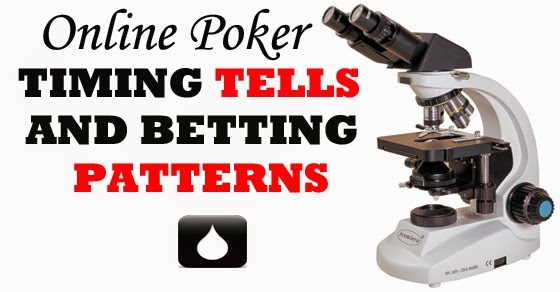 You are going to learn exactly which timing tells and betting patterns to look out for at the poker tables. The auto flop CBet is often made by somebody who has a mediocre hand at best. In general people are more likely to put some thought into what action they want to take if they have a big hand. The same goes for a total bluff. You should routinely raise these bets up. Bonus Tip: If you see somebody auto CBet the flop check how many tables they are playing. Mass multi-tablers (18+ regular tables) often do this simply because they have 6 other decisions going on which are more important. These players tend to just auto CBet when in doubt though as well. Always know who the mass multi-tablers are at your stake and make a point of bluff raising or floating them a little bit more often than the other regs. Once again, this is usually an indication of a mediocre hand at best. It is even more the case on the turn because the bets start to get bigger. Most people will want to think about what to do with a really strong hand or a bluff. An auto turn CBet is usually an indicator of a top pair, small over pair or a draw that doesn't know what else to do. You should frequently raise in these situations even with total air. Make sure you check your opponent's WTSD% first though. You might want to think twice about running a bluff on a huge calling station. As I have mentioned before, 25%+ tends to indicate a calling station. This applies on any street and is almost invariably a weak hand. Your opponent wants you to think that they are strong and that they are setting a trap of some sort. The large majority of the time though, they are just hoping that you check behind as well. Don't fall for this little ruse. When you see somebody do this, always take the opportunity to make a bet. This usually indicates strength and lot's of it. Your opponent wants you to think that they are running some big bluff by thinking so long. 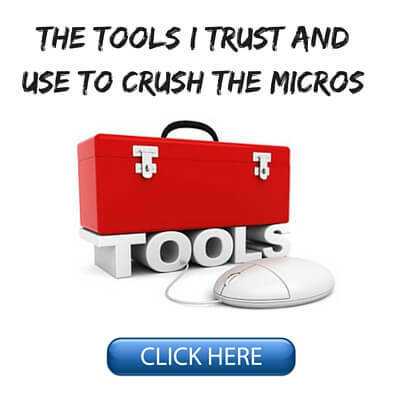 However, the reality is that the vast majority of players at the micros are incredibly passive and they are hoping that you are naive enough to think that they are bluffing. Fold unless you have a big hand. 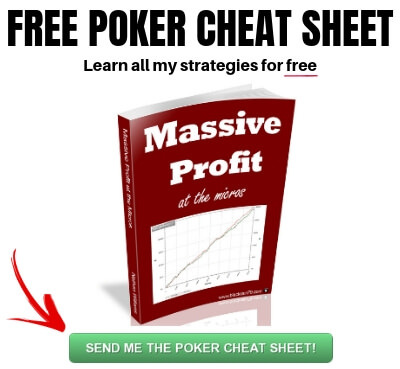 Bonus Tip: Once again be aware if your opponent is a mass multi-tabler or not. If they are, then the long wait may simply be the result of them having more important action on several other tables at the time. The same thing goes for a check. Mass multi-tablers at the micros are generally weak/tight bad regs though so be careful if they are betting and especially raising on the big money streets (turn and river). This often indicates a strong hand. This is an enormous tell which almost always indicates a mediocre hand. Once again, most people are far more likely to take some time with a really good hand and at least consider a 3Bet. Most people also spend a bit of time weighing the pros and cons of a light 3Bet as well. An auto call however generally indicates that they have some sort of small or middle pair, a weakish broadway or some suited connector which they just want to see a flop with. Use this knowledge to your advantage after the flop. Once again this typically indicates a hand of medium strength such as a draw, top pair with a weak kicker or middle pair. You should continue to apply the pressure on later streets against opponents who do this. 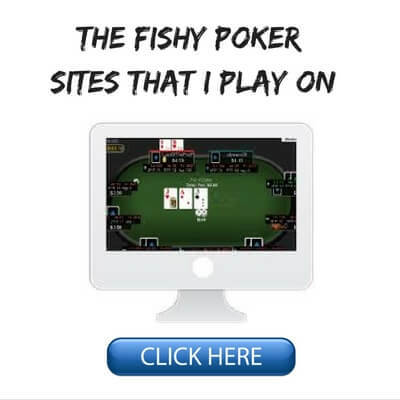 Be aware that many fish will auto-call the flop just because they have ace high or a gutshot. They may be confused and think that they are playing Limit Hold'em where peeling the flop extremely light is completely standard. You should refer to their fold to flop CBet% stat and barrel them liberally if it is low. 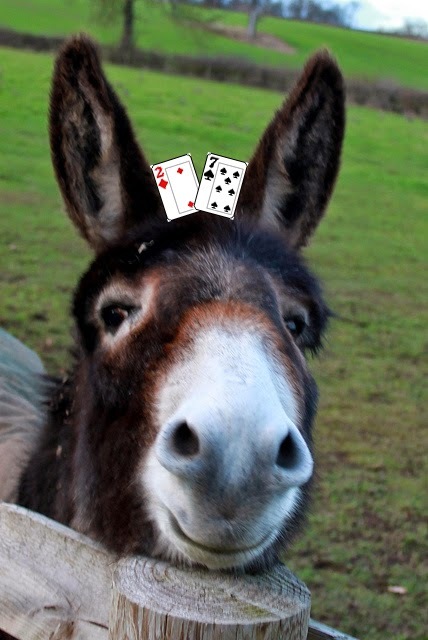 The flop donk bet (a bet into the preflop raiser) has been a hallmark of bad poker players since the dawn of time. I actually wrote an entire article about this specific play awhile back. When a bad player makes a bet into you on the flop (typically small), this is almost always some mediocre hand at best. If I have any sort of equity at all (as little as a gutshot or some overcards) I will literally always raise these up. Keep in mind that there are some good players at the micros these days who are starting to realize that having a reasonably wide donk betting range (and of course with a normal bet size) is actually a good thing. Versus these players you will need to be a little bit more careful. This generally indicates some sort of mediocre hand as well. A few years ago some dorks (probably on 2+2) came up with the idea of a "blocker bet." Basically this is a small bet meant to slow your opponent down and get you a cheap showdown or a chance to complete your draw (don't do this by the way). I have been raising these up no matter what I have for years with great success. Keep in mind that weak regs will fold to your raise but sometimes you will need to fire another barrel versus fish because they don't fold draws or pairs very easily of course. This generally indicates huge strength at the micros. Once again, players at these stakes are by and large extremely passive. There is no way that a player like this is going to take a line this strong with a draw, weak made hand or a bluff. For the most part you won't find regs who are capable of making this play until the mid stakes. Therefore, if your turn double barrel gets check/raised and you don't have a monster yourself, save yourself some money and make a fold. Same thing here except it indicates even more strength (i.e., always the nuts). Unless you have a huge hand you should never look these up. I have only successfully called a river check/raise on a handful of occasions over the span of millions of hands at the micros. They were all against a few of the very best players that I have ever seen at these stakes who I also had a significant dynamic with. 99% of players at the micros are simply not capable of showing up here with a mediocre strength hand or a bluff. Once again, do your winrate and your bankroll a favor and never call here without a monster. This is usually a weak hand. Most people are going to give it some thought if they have a hand worth value betting with. They would also likely spend some time thinking if they had nothing and wanted to bluff. So what does this leave us with? Weak top pairs and middle pairs that just want to see a showdown as well as busted draws that decided against bluffing. 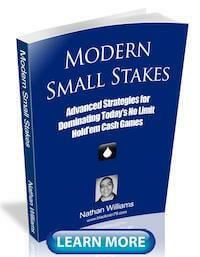 You should almost always take this opportunity to make a bet unless you are up against a huge calling station. 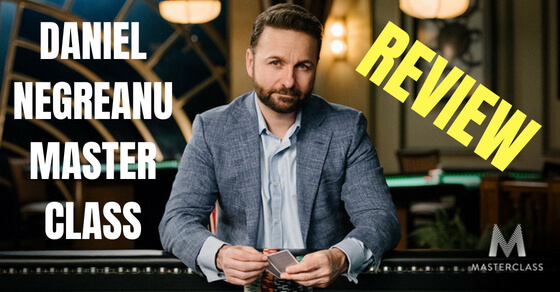 Bonus Tip: Versus weak/tight bad regs this is a great spot to consider an over-bet bluff or even an all-in bluff. These are the types of players who will not put in a significant amount of their stack without the nuts. We know that they generally have a weak made hand at best when they insta check the river to us. If you think there is any chance that they look you up with a normal bet size, then make it easier for them to fold by over-betting or simply shoving. Now I don't mean for stuff like preflop folds. I mean any decision when you VPIP (i.e., play a hand). Don't take an extremely long amount of time for any decision but don't insta act either. Use the same amount of time whether you are betting, raising or folding and nobody will ever be able to get a timing tell on you. And never use the auto-call or auto-check buttons. These are enormous tells that I didn't even cover above but I am sure you can realize how bad they are. As I have discussed before, you need to be taking different lines versus the better regs at the micros these days. These are the players who are likely to understand some of the betting patterns that I discussed above. These are also likely the players who will be aware of your individual tendencies. By mixing things up and taking different lines in the same situation you will become impossible for them to read. These are a few of the top poker timing tells and betting patterns that stand out from my experience. It is important to know these basic cues because they often allow you to take action without the need to refer to your HUD or even your own hand in some instances. As I have talked about for years on here (and in my videos and books as well) winning poker at the micros is about understanding the lines that people take. It is not about understanding a set of math formulas. 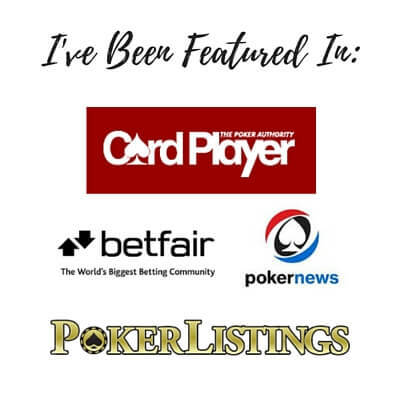 When you add in the timing tells that nearly all players at these stakes give off as well, you can read your opponents in online poker just as accurately as you can in live poker. 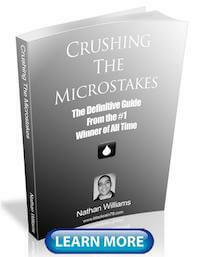 Understand the betting patterns and timing tells of bad players and you can practically call their hand. Let me know in the comments below what you think of these betting patterns and timing tells. Is there anything that you would add? One tell I notice is that some players min bet every street with certain hands. It is hard put that on something exact though. I seen some people do this with draws. Others with weak pairs. Some people even do it with the nuts?! Ya I missed this one. This is typically done by bad players and it means a mediocre made hand or a draw usually. The problem is that you often won't be able to get them off of it by raising just once anyways. So I will often just call down if I have something mediocre myself. Sometimes I will bluff raise the river if the draw missed and/or a scare card falls. I've been subconsciously gathering this kind of data in my head for a little while now, so it's great to get your lowdown on the topic. I've only played about 100K hands so thankyou for giving me some food for thought. Thanks Tony! It's good that you are already paying attention to stuff like this because these are the details that can make a big difference. Great post Nathan! Also is nice to know you're making new posts more regularly than before, it's always appreciated! Glad to help Jorge. My goal is to start publishing posts once a week instead of once a month so look for lots more soon. Thanks Nathan. This is consistent with what I observe. There is a great software that keeps track of the timing of each street and displays a HUD. There is a 7 day free trial! Hey Blackrain .... why are you so against a blockbet ? On some forums it's encouraged all the time against all types of players and I myself have done it for years and cheap showdowns like that with mediocre hands . I don't see why it's such a bad thing. Hey if it works for you then keep doing it. I think it is generally a bad play because any competent player will see right through it and just raise you. "any competent player" ... but then again you know who is competent and who isn't at the table very easily. And sometimes if you know that he will raise you or he is an aggressive player you can do blockets with nuts and you make him to invest more money when he raises you. In my opinion you should be betting for value or as a bluff in poker so the idea of a blocker bet is fundamentally flawed. It is the wrong way to think about the game. If you think your hand is the best then bet for value. If you are bluffing, then bluff. Making some weird smallish donk bet essentially with a mediocre hand just seems pointless to me. But again, if you find that it works for you then do not listen to me. Isn't what Mircea is talking about just a form of inducing to throw in occasionally when you know you are playing with someone that will bluff raise? If the objective is to get more money in the pot when you believe you have the best hand, the amount you donk, plus their raise and your call, will be more than you could have gotten to the next street with, with only a c-bet/call. And I agree it should not be used regularly, but I can't see how it shouldn't be part of the arsenal for the right villain. Today I slowplayed bullets versus a good reg at Zoom who 3betted me from EP, and I did that by inta checking every street showing him weakness. Could we use those tells to misread our opponents read? Or is it just too fancy play. Note: It was a zoom table NL2 where I realized that 4bets are not quite often get paid preflop unless people (at least most of regs) do not put it all in unless they got the nuts. Hand aftermath: I instantly checked/call at all three streets and he showed QQ, even tought it was a quite cordinated board. Thanks and great articles, man! !